Spring has sprung! Make these glorious Sun Catchers as decorations! Templates and instructions on making your own sun catchers! Spring has sprung! 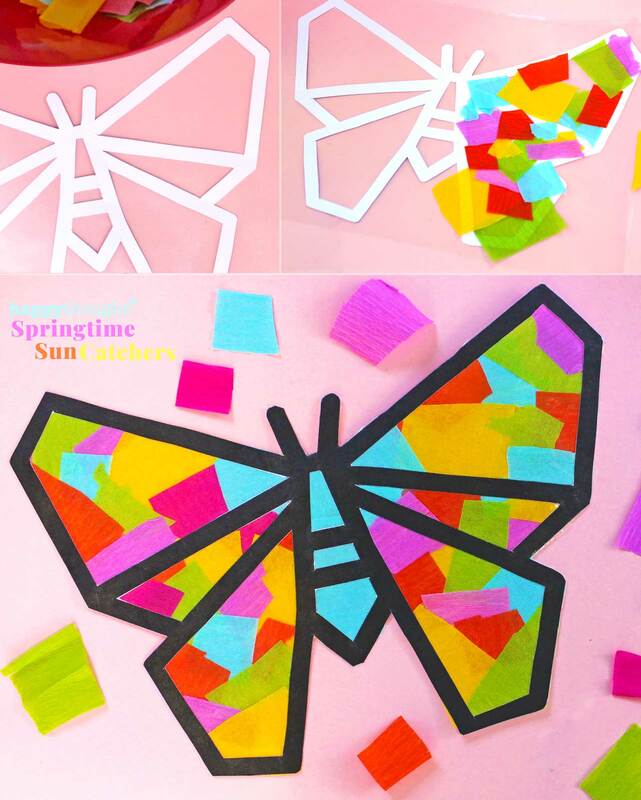 Make these glorious Springtime Sun Catchers to decorate a window or door in your home! Fun and easy to make and look jewel-like with the sun shining through, like mini stained glass windows. 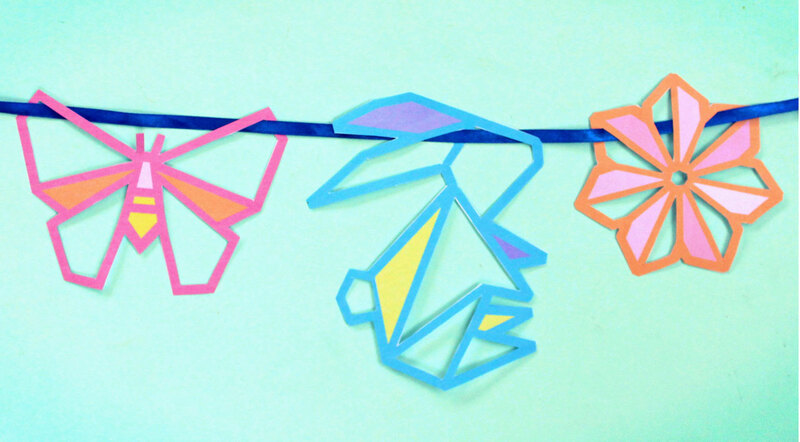 Make your own Springtime sun catchers: DIY Springtime Sun Catchers templates! 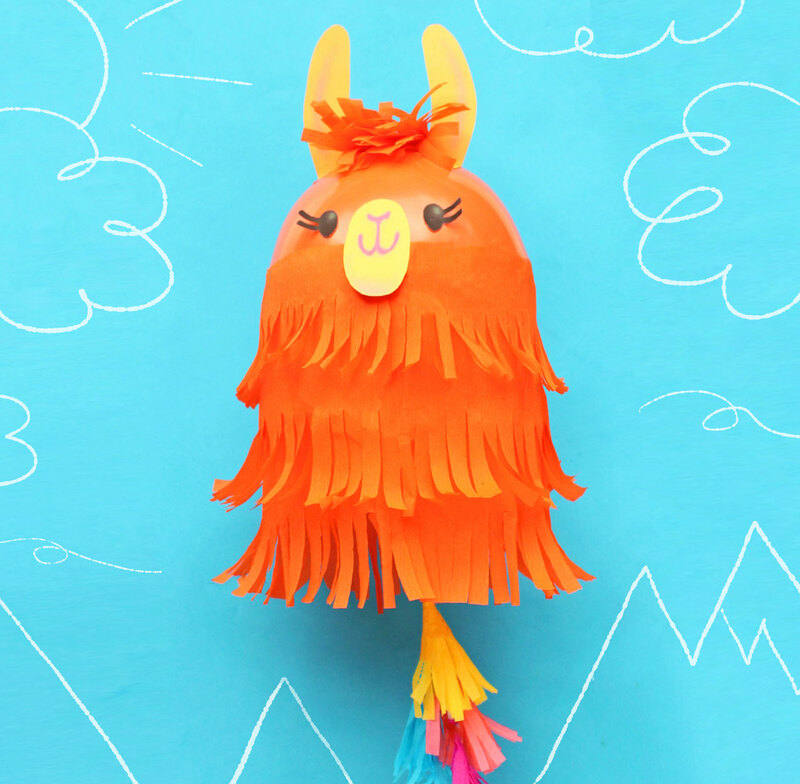 A great DIY craft for younger children. They will need a little help to cut out the templates, then let them loose to have fun preparing and sticking on the colorful strips of tissue paper. 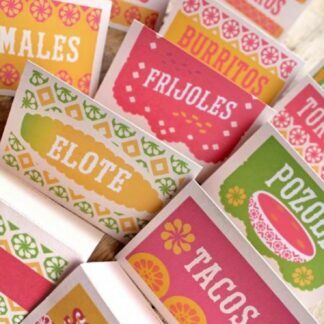 Experiment with colors – black as a base makes a good contrast, but colorful card also looks great. 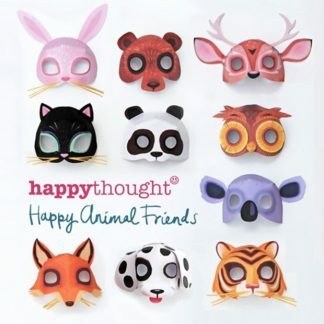 Exclusive to the Happythought CraftClub, these great masks are free to download for Happythought members. Hooray! This printable template pack includes a Easter bunny rabbit, a butterfly and spring flowers. The templates come in black and white and also in vibrant springtime hues. 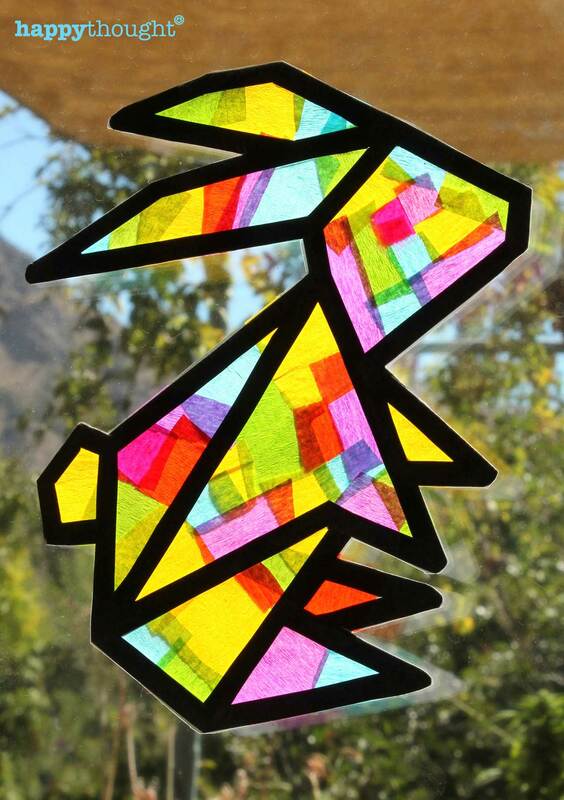 Make as many sun catchers as you like to give your windows a glow, or give them as gifts! 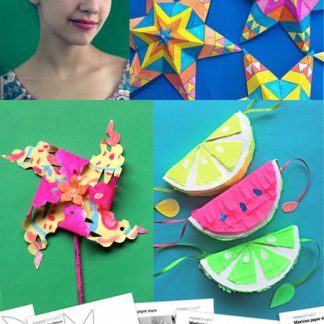 Prepare your colorful tissue or crepe paper by cutting or tearing it into pieces. 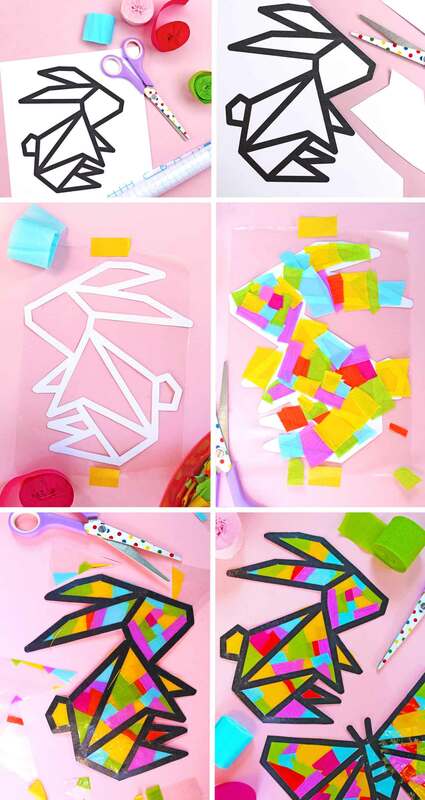 Next, lay your Easter bunny, butterfly or flower sun catcher template face down on to a sheet of clear contact paper or sticky back plastic. Here’s a tip: If you don’t have any contact paper, you can use strips from a wide roll of transparent sticky tape. Lay the colored pieces all over the template as shown. Don’t worry if they overlap. Next, lay a second sheet of contact paper, sticky side down, and carefully trim around your sun catcher template. Have fun! 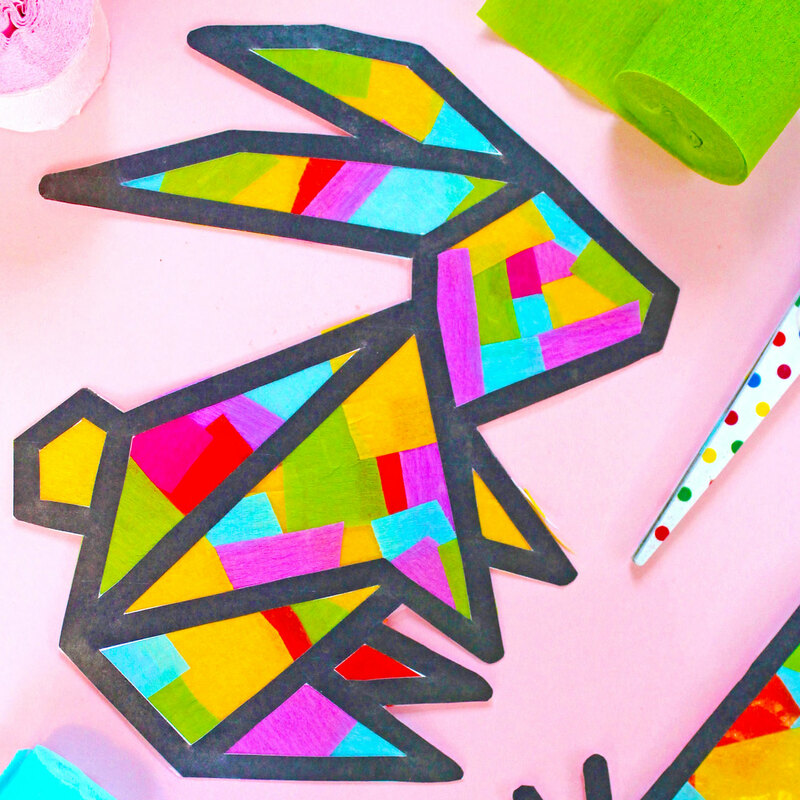 These printable templates are very flexible – you can also create a colorful garland to decorate your home or for an Easter party spread! 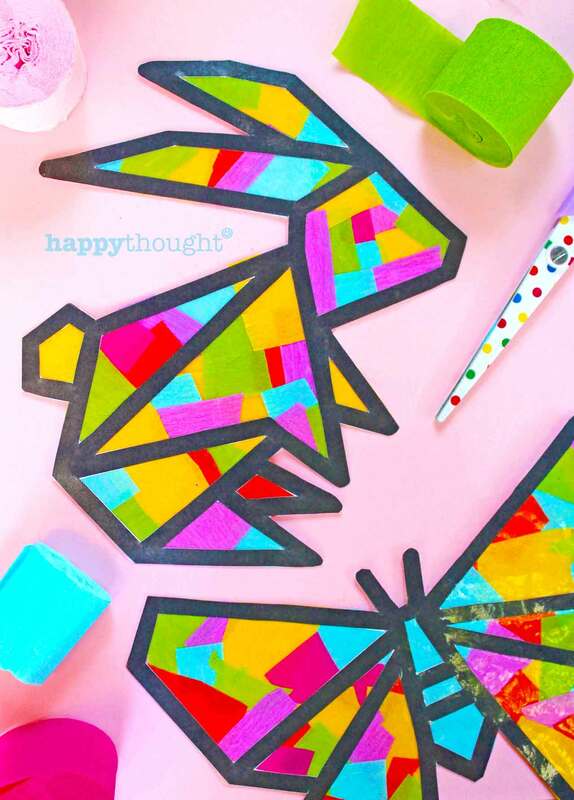 These brand new printable pdf templates are free to download to Happythought Members, a part of the Happythought CraftClub. 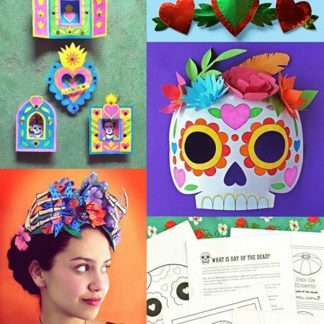 You might also like some of our other great printable templates. 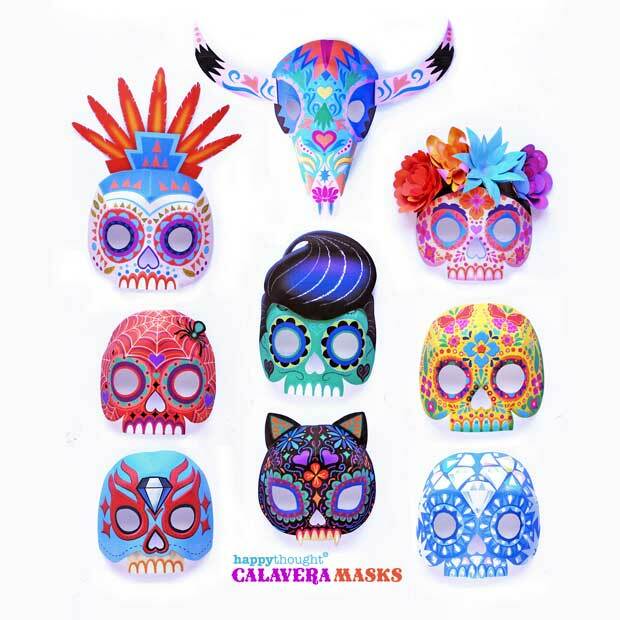 Mini DIY Easter Holiday ideas, Day of the Dead craft activity pack, Tiger mask pattern templates and our popular Lucha Libre mask set. 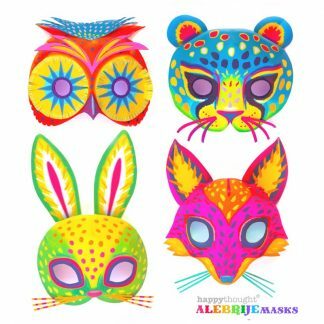 Be a dog with these Dog mask templates, DIY koala mask patterns to make, cute cat mask templates, Day of the dead cat mask design and our free to members fox mask pattern and tutorial. 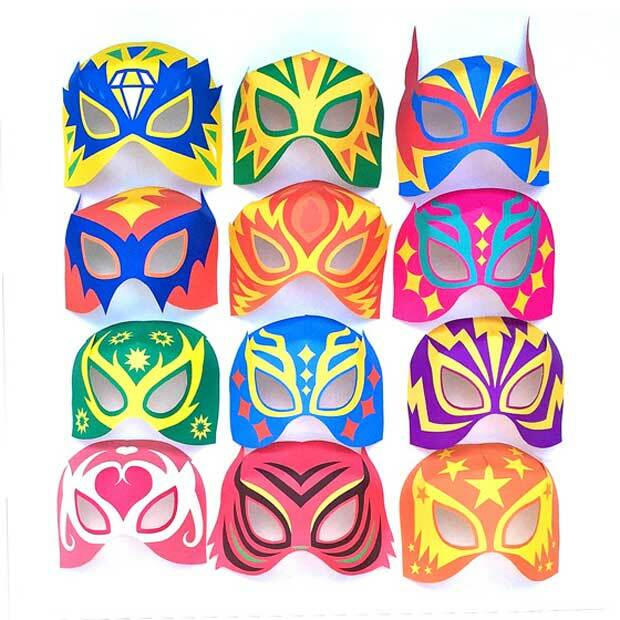 The mask templates come with costume idea for each mask. 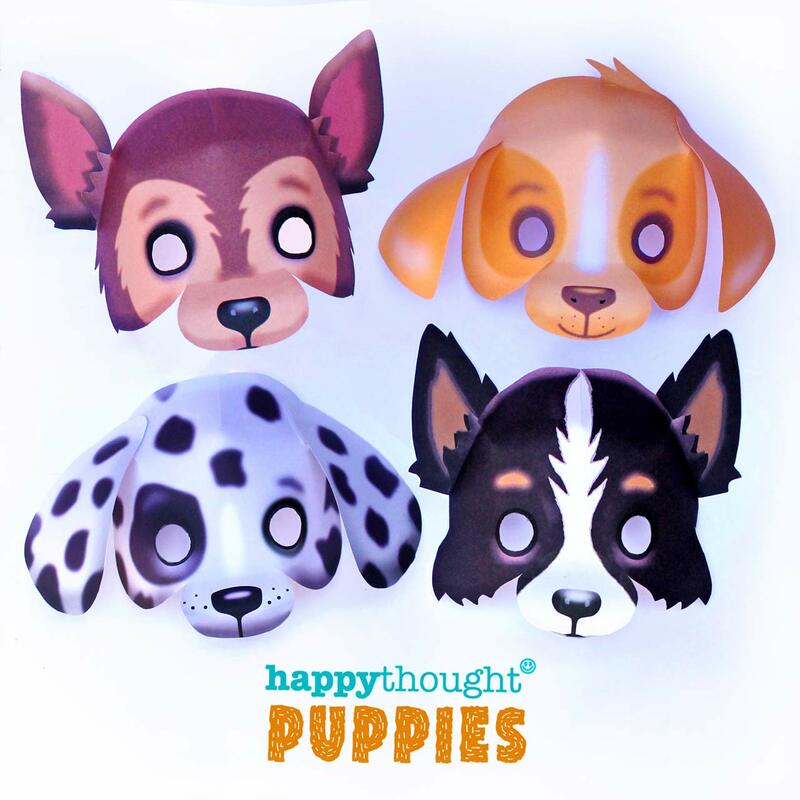 We hope you enjoy these Happythought printable puppy masks. 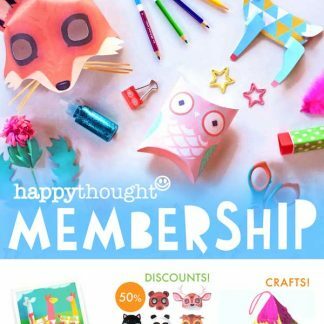 Be sure to join the Happythought CraftClub here to get creating today! If so, please give us a little love; by liking us on facebook, pinning us on pinterest or following us on twitter. Thank you!